This article combines two independent theories: firstly, the algorithm of Faddeev–Leverrier which calculates characteristic polynomials of matrices; secondly, the Descent Theory which, in particular, lets many properties of matrix algebras descend down to Azumaya algebras, especially the characteristic polynomials. The algorithm of Faddeev–Leverrier is completely revisited. 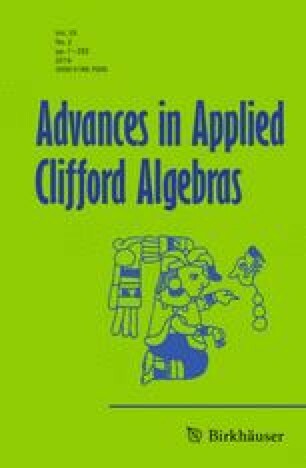 The details of the descent are explained as far as they are needed for Clifford algebras over fields. This article is part of the Topical Collection on Homage to Prof. W.A. Rodrigues Jr. edited by Jayme Vaz Jr..